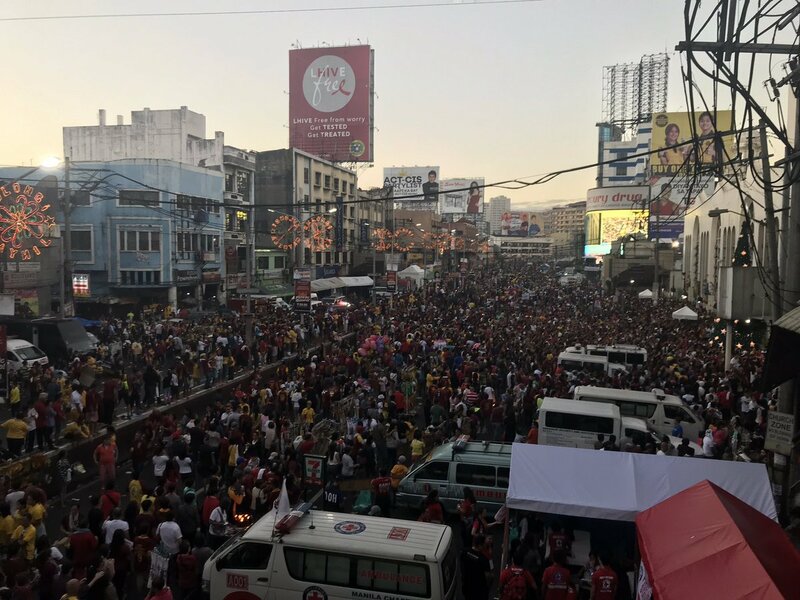 MANILA, Philippines – Tens of thousands of Black Nazarene devotees flocked to the streets from Quirino Grandstand in Manila to Quiapo Church for the Traslacion 2019, an annual event to celebrate the Feast of the Black Nazarene. On Tuesday, over 20,000 devotees also lined up for the ‘Pahalik’. Many of the devotees were sick, old, or people who are praying for a miracle. The event went smoothly, especially because it started 2 hours ahead of the 8AM schedule. 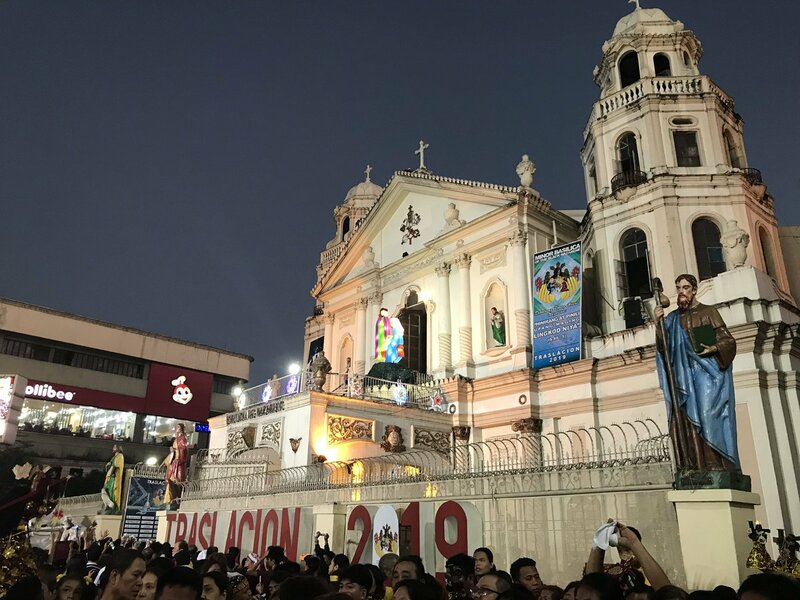 The midnight mass on January 9, led by Manila Archbishop Luis Antonio Cardinal Tagle, officially kicked off this year’s celebration. At dawn, the procession began. Although the distance between the grandstand and Quiapo Church is roughly just 4 kilometers, the Traslacion procession is expected to last the entire day, lasting nearly 24 hours, as tens of thousands of devotees line the streets, scrambling to touch the image. Many of the devotees attend the event every single year, with many trying their best to touch the 17th-century image of the Black Nazarene. With so many devotees trying to get near the image, movement is very slow but situations can be dangerous especially to those who are sick or old. In past Traslacion events, at least a hundred people needed assistance for minor injuries. This year, the Philippine Red Cross revealed that as of noontime, January 9, they have assisted over 600 people who sought their help for medical emergencies and minor injuries. Eighteen major cases have been confirmed. 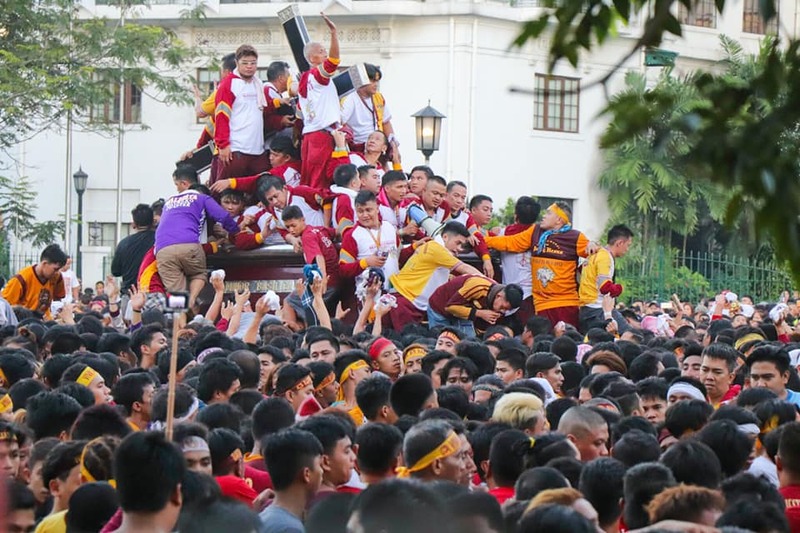 Others suffer medical problems such as high blood pressure or heat stroke, yet many continue to attend the annual procession as a fulfillment of their promised devotion to the Black Nazarene. But why the pious devotion to the image? 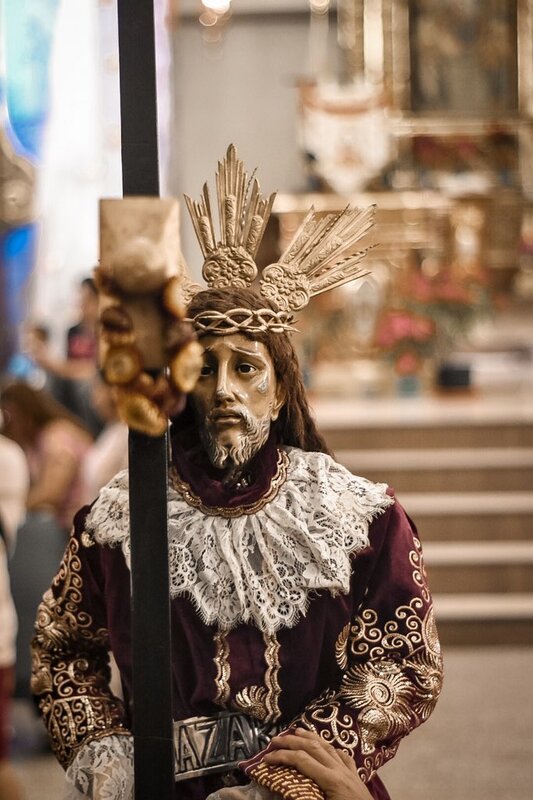 The original image of the Black Nazarene came all the way from Acapulco, Mexico back in 1606. People once debated whether the image had survived a fire in the galleon on its way to Manila or if it was already dark due to its material. Monsignor Sabino A. Vengco Jr. from Loyola School of Theology put an end to the debate by declaring that it is actually the latter that is true. According to Vengco, the image was carved by an anonymous Mexian sculptor using mesquite wood, a dark wood that was a popular medium in this period. 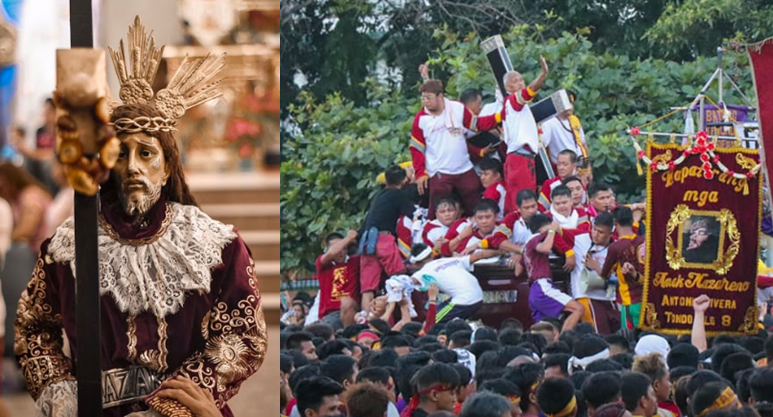 For centuries, millions of devotees have attested to the ‘miraculous powers’ of the Black Nazarene – and many of them return year after year to attend the events in the Feast.